Divorce in Sri Lanka is almost entirely fault-based. The Civil Code does include a provision that a husband or wife can petition for divorce two years after a decree of judicial separation or after seven years separation. However these provisions are not always applied consistently, and there is pressure to reform the law and move away from the necessity of one party having to prove the fault of the other. The grounds for divorce are adultery, ‘malicious desertion’ and impotence at the time of marriage. The need to prove one of these grounds in court is given as one reason why the divorce rate in Sri Lanka is comparatively low. Financial orders – whether for a lump sum, transfer of property or periodical payments – are made at the discretion of the court. In relation to child arrangements and custody, decisions are made in the interests of the child. If there is a dispute over contact while parents are still married, preference is given to the father. We are specialist firm of family law solicitors and we advise clients who have a connection with Sri Lanka. 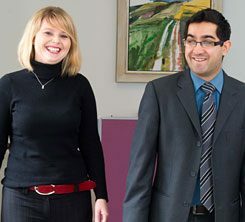 Our clients can include those who are UK–based but originate from Sri Lanka, are living in Sri Lanka but have a connection with England or Wales, were married in Sri Lanka, or have other family connections with Sri Lanka.